Description: Set in 1830’s Texas just after the Republic won its independence from Mexico. The Republic’s future is in doubt, with various factions and foreign powers hoping to sway matters to their own advantage. President Sam Houston instructs one of his agents, deaf-mute Erastus “Deaf” Smith, to infiltrate and put down one of the growing rebel factions. 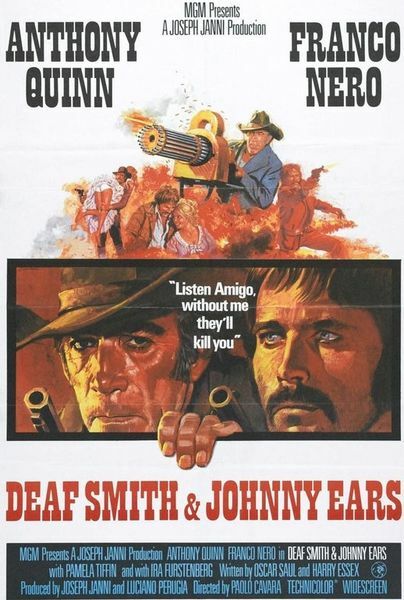 Accompanying him is his friend Johnny Ears, who must not only do Smith’s hearing for him, but must also conceal Smith’s handicap, as the rebels have intercepted a message that a deaf-mute spy is in their midst.